RBA's views on the domestic economy has shifted. 2H2018 data showed global growth slowing but was as expected. 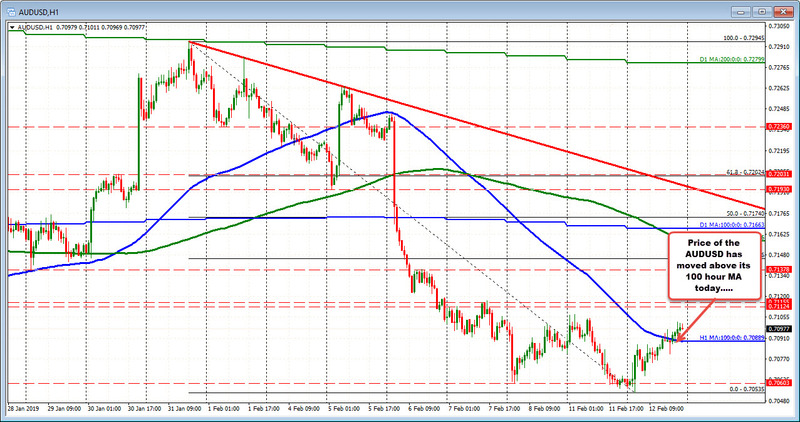 The AUDUSD has wandered above its 100 hour MA today at 0.7088. That will be a barometer for bulls and bears into the new trading day.